In this week’s ‘Expert Talks’ Alex Gibson gives us a preview of what’s in store for attendees of this years ARVR Innovate Conference and why he thinks the Government must do more to support the Virtual Reality industry in Ireland. When it comes to Virtual Reality, Alex Gibson is considered one of the leading minds on the subject in Ireland. 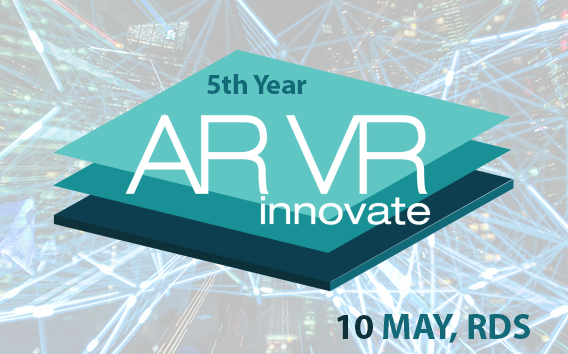 His conference ARVR Innovate will be celebrating its 5th birthday when it kicks off on Thursday, May 10th, in the RDS Concert Hall, Dublin. Five years may not seem like a long time but this makes his event one of the longest established conferences on Virtual Reality in Europe. Alex has a background in marketing and when the conference began back in 2014 his primary interest was the impact of immersive technologies on the marketing industry. 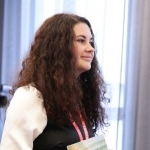 However, the scope of the conference has expanded rapidly as Alex explained to us. With over 400 attendees already booked and all the major thought leaders in the VR & AR space flocking to the RDS for the event, Alex is looking forward to this year’s gathering being the most significant to date. However, he feels the Irish Government are at risk of missing out on significant investment in the immediate future if they do not begin to gather data on the amount of people active in the space. From Alex’s point of view, if a major multinational is considering setting up base in Ireland in the coming years, they are going to want to see the data on the health of the AR/VR sector here. Does Ireland have an adequate infrastructure in place and ultimately do we have the people with the necessary qualifications to fill the specialised jobs required. Whilst the government has paid lip service to the future importance of the sector, Alex feels that much more needs to be done right now. “A detailed analysis is required for the Irish industry. 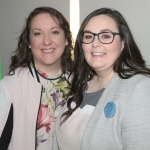 Not only will it benefit all those already involved, but it will also help to secure the future growth of Ireland’s augmented reality and virtual reality landscape”. So what is Alex most looking forward to at this year’s ARVR Innovate event? “Jian Gu, the Senior Technical Expert from the Alibaba Artificial Intelligence Lab will be coming to Ireland for the first time”, Alex explained, “the multi-billion Chinese retail innovator that is a global e-commerce powerhouse rivalling Amazon.” According to figures released late last year, Alibaba’s Augmented Reality platform has served nearly 200 million users all in the space of three years. Their innovations in the AR space have also been hugely successful in helping the retail giant increase sales conversions. Amongst other topics, Jiam will be discussing their hugely successful collaboration with Starbucks. Jan heads up the Virtual Reality of Competence AR&VR at Audi. As coordinator, Jan is responsible for all the IT activities to do with Augmented and Virtual Reality within the Audi group. “It will be wonderful to hear Jan discussing how AR and VR are actually being used by a massive manufacturer” explained Alex. “Dave is one of the AR world’s true pioneers” explains Alex, he will be at the conference evangelising about the next big thing for Augmented Reality “Web AR”. Dave was part of the team who created KeyHole.com, which went onto become known as Google Earth. Tickets for ARVR Innovate conference cost €195 and can be purchased on the conference website – ARVRInnovate.com. There will be something for anyone who is involved in augmented and virtual reality or for anyone who would like to learn more about these exciting sectors.